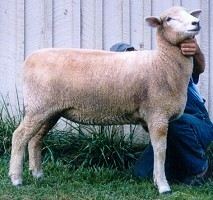 CORRIEDALE SHEEP - The breed for your future! 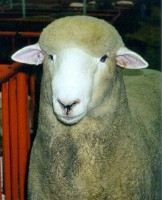 Corriedale sheep are a true dual purpose breed, producing both a dense, uniform fleece with pronounced character, and a good, high quality carcass. Corriedale sheep are very prolific, possessing excellent potential for fall lambing and multiple births. Corriedale sheep adapt well to a wide variety of geographic regions and production systems. Corriedale sheep make great youth projects! *Corriedale Rams sire vigorous, rapid growing lambs. *Corriedale Rams produce lambs with good carcasses and high value pelts. 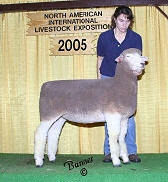 *Corriedale Rams sire crossbred ewes that make excellent commercial ewes. *Corriedale Ewes are early maturing and can be bred as lambs. 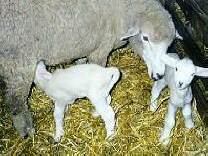 *Corriedale Ewes possess outstanding mothering ability. *Corriedale Ewes have a high multiple birth rate. *Corriedale Ewes possess excellent potential for fall lambing. *Corriedale Lambs are vigorous at birth and rapid gaining. *Corriedale Lambs are efficient converters of feed into gain. *Corriedale Lambs have a high pelt value. *Corriedale Lambs produce very good carcasses. pronounced character, and a good, high quality carcass. Sarah Schactler and Lindsay Reister presenting our gift to the country of New Zealand.